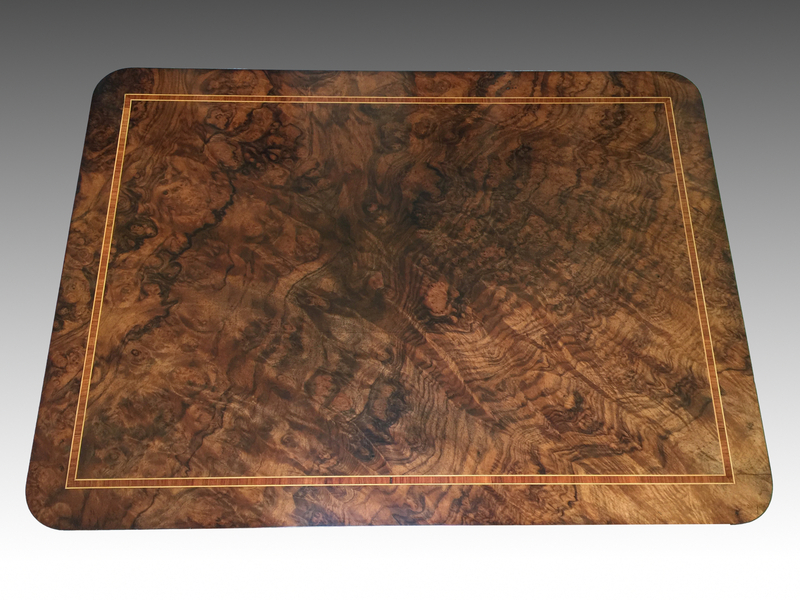 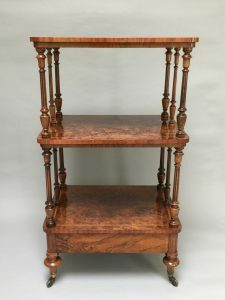 A Victorian walnut whatnot. 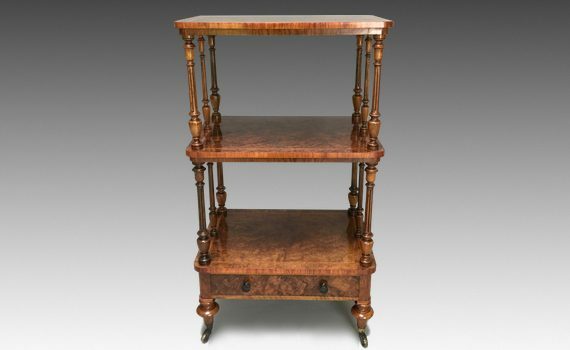 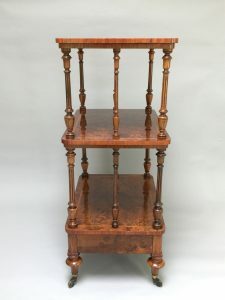 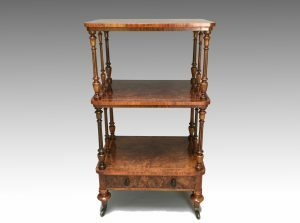 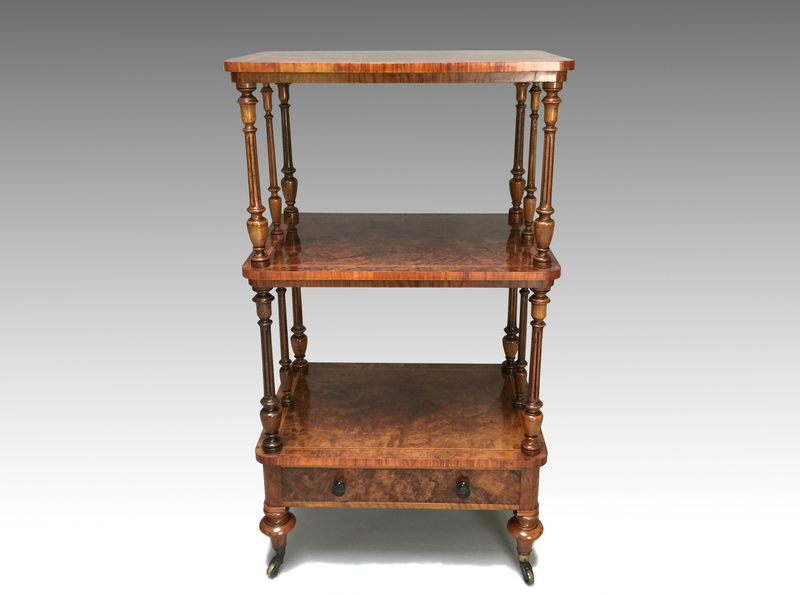 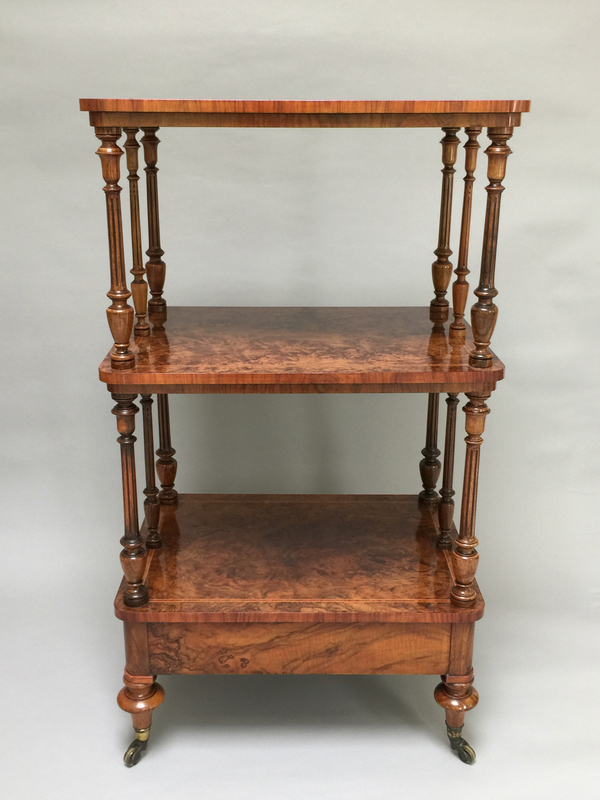 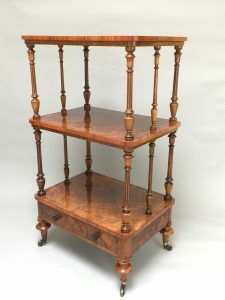 The three rectangular tiers each with rounded corners, tulipwood crossbandings and edges, supported by turned columns with a drawer to the base and standing on four turned toupie feet ending in brass caps and castors. Stamped ‘Gillow & Co 5235’ to the drawer. 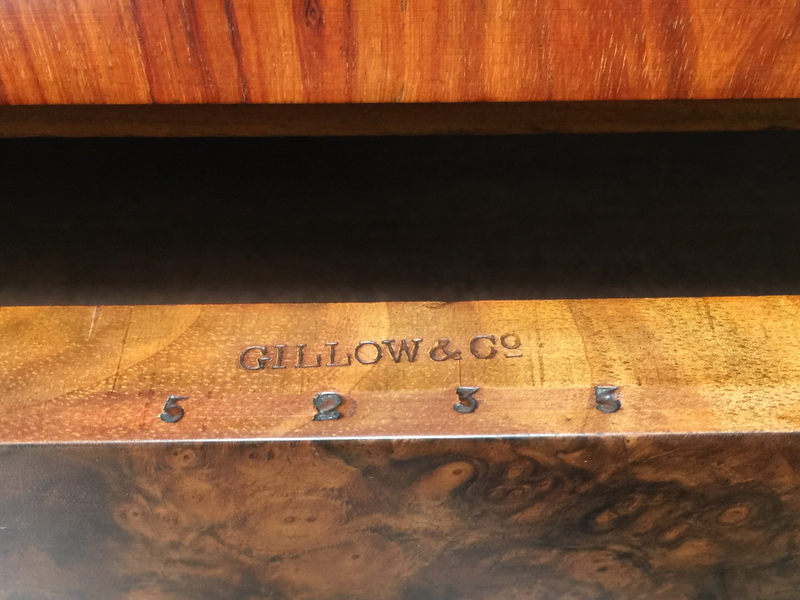 The Gillows numbering system would suggest this item was made in 1877.